Sports Minister, Hon. Isaac Asiamah and the Normalization Committee of the Ghana Football Association Association have tasked the Black Queens to make Ghana proud at the CAF African Women’s Cup of Nations, which kicks off in Ghana on Saturday. 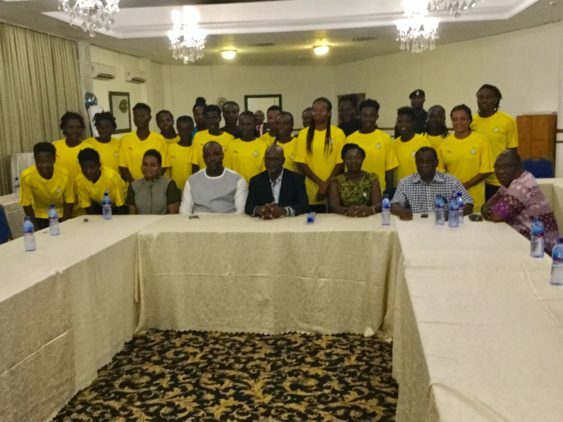 During a joint visit to the Black Queens’ camp on Thursday evening by the Sports Minister and the Normalization Committee, they both urged the team to remain focused and aim at the ultimate prize of winning the coveted trophy. The Sports Minister, on behalf of the President of Ghana conveyed a special message of goodwill to the team and urged them to go all out for the trophy. Hon. Asiamah reminded the players that wearing the national colors and representing nearly 30 million people is a great privilege, which should serve as enough motivation for them to give off their best for mother Ghana. The Black Queens will open the tournament against Algeria at the Accra Sports Stadium tomorrow (Saturday).